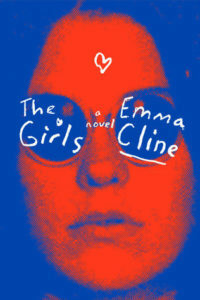 I just finished The Girls by Emma Cline, which was one of the hot books of 2016 that got big advances and lots of attention. The Girls is about a summer in the late 60s when a teenager named Evie got involved with a group of other young women living on a ranch under the thrall of a charismatic musician named Russell. The reader learns early on that, at Russell’s direction, members of the group committed a quadruple murder in California (an act based on the Manson murders). The Girls explores how Evie got involved with the group and how that involvement reverberates through her life for decades to come. First, I will say that Emma Cline is a beautiful writer. She has a way of describing rooms, scenes, people, actions that make you feel as if you’re seeing it unfold right before you in vivid, sensual detail. I’ve seen some people criticize this book as too flowery, but I thought the writing was its greatest strength. Clines’s storytelling is not quite as strong. I suspect she looked up “why do people join cults?” and then created a story to satisfy each of the criteria that can lead to susceptibility to cult leaders like Russell. Evie’s parents were separated; her best friend turned on her; she was rejected by the boy she liked; she was bored. Cline sets up Evie’s involvement with the cult perfectly on paper, but I was never really convinced of it in action. Evie’s devotion to Russell and his clan is also premised on her love for Suzanne, one of the girls in the group. Her infatuation with Suzanne is what brings her back to the ranch, over and over, and what landed her in the car with the others when they headed out on the night of the murders. But I didn’t really believe in the ardor, the passion that Evie had for Suzanne, who was basically a hippie from a rich family who stole from strangers and passed her hours stoned and disconnected. Without a really convincing reason at its core for Evie to lose herself in Russell and his hippie ranch dwellers, The Girls loses its import. Why tell this story, after all? I wanted more – more of Suzanne, more of Evie’s loss of objectivity and judgment. As written, it’s a beautifully told story without a lot of substance. I listened to The Girls on audio, mostly, and it was one of the rare times where I thought the audiobook detracted from the experience of the book. The narration by Cady McClain was fine; it’s just that Cline’s writing – almost poetic at times – was easy to miss on audio. I found myself re-reading passages in print to make sure that I fully appreciated her imagery and descriptions. I’d recommend the print over the audio for this one. Was The Girls worth a $2 million advance? I don’t think so. It’s good, but not that good.